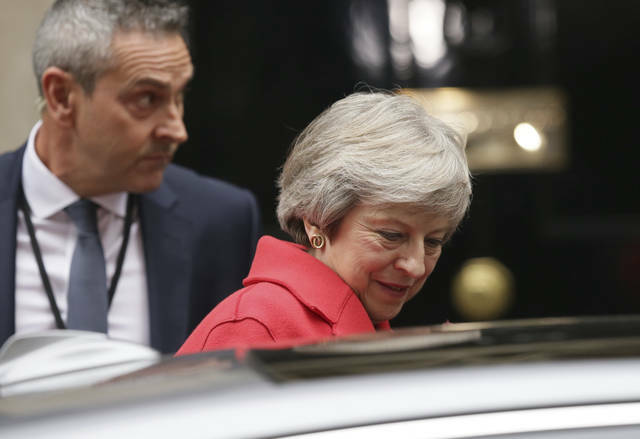 Less than a day after May won her Cabinet’s grudging backing for the deal, two Cabinet ministers and a handful of junior government members resigned, and a leading pro-Brexit lawmaker from May’s Conservative Party called for a no-confidence vote in the prime minister. A defiant May insisted that Brexit meant making “the right choices, not the easy ones” and urged lawmakers to support the deal “in the national interest.” She said the deal was best for business as it would help maintain easy trade with Europe and would reduce uncertainty. But she has been weakened by the resignation of two senior Cabinet ministers, including Brexit Secretary Dominic Raab. 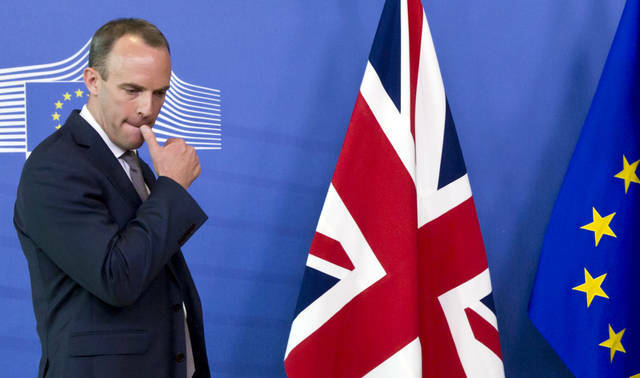 Hours after he sat in the meeting that approved the deal, Raab said he “cannot in good conscience” support it. Standing outside Parliament Rees-Mogg said the deal agreed “is not Brexit” because it would keep Britain in a customs union with the EU, potentially for an indefinite period. 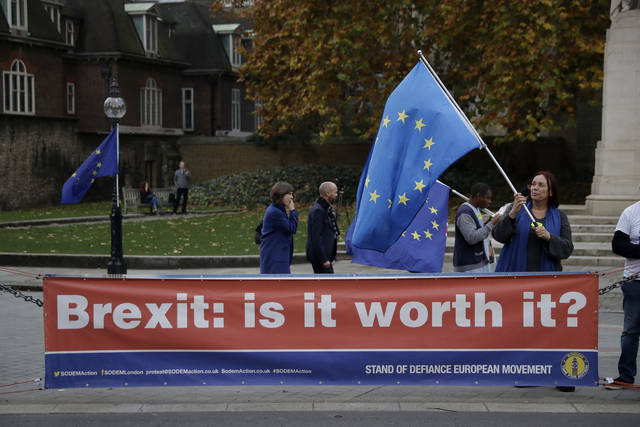 The deal needs approval from Britain’s Parliament before the U.K. leaves the bloc on March 29 — and even if May survives as leader, the chances of that appear to be shrinking. Her Conservative government doesn’t have enough lawmakers of its own to get a majority, and relies on the support of the Democratic Unionist Party from Northern Ireland, which says it will not back the deal. The DUP leader in Parliament, Nigel Dodds, said the “choice” was clear. The deal requires the consent of the European Parliament as well. Its chief Brexit official, Guy Verhofstadt, welcomed the draft deal as “the best agreement we could obtain.” Verhofstadt predicted the EU Parliament could approve the deal at the start of next year, well in time for Brexit day. One of the most important issues that will face the new Congress is how to deal with the billions of dollars of infrastructure investment our country needs to bring aging water and sewer systems into the modern age. The president has periodically mentioned the necessity of rebuilding the country’s infrastructure, and, notably, some Democrats have indicated that this is an area where a deal could be possible. In fact, Senate Majority Leader Mitch McConnell has said that infrastructure is an issue on which there is agreement between he and likely incoming House Speaker Nancy Pelosi. This could be one of the few areas where Congress can make progress next session. Too often, though, conversations on this type of infrastructure projects ignore the unique needs of underserved communities that tend not to have large tax bases to fund improvements. Those areas are more at-risk of having inferior pipes used, which can lead to contamination issues or broken pipes that are costly to repair. That’s why it’s so important to trust the professionals who have specific knowledge and experience in their field and who are best positioned to understand their communities’ unique needs. But local bids are already open competition. If you make a product or service that fits the project guidelines, you are welcome to bid. Just because a project receives a small number of bidders does not mean it is not competitive — it usually means that there are only a handful of manufacturers or companies that can meet the job specifications. That’s what it means to be competitive, though. What some are pushing for now, however, is to limit the selection of bid winners for water and sewer pipes to the lowest bidder on upfront project costs. In essence, the company that charges the least amount of money is guaranteed to win. Well, that gives an advantage to the makers of plastic pipes because plastic, by its nature, is cheaper than most other pipe materials. Limiting successful bids to upfront costs completely ignores the cost to communities over time, though, as water systems need upgrades and repairs. That’s where plastic fails the cost test. Plastic pipes tend to break more easily and more often than competing materials — and cost communities in water disruptions to businesses and individuals. Broken plastic water or sewer lines cost hundreds of thousands or even millions of dollars to replace. Often, those pipe breaks are to systems that were installed less than a decade ago. One of the worst situations we have seen this year is a town in Northern California that had barely survived a wildfire only for residents to come home and find their drinking water supply had been contaminated by benzene. The chemical leaked into the water when the plastic pipes melted from the heat of the inferno. It doesn’t take the scorching heat of a wildfire to melt plastic, though. Pictures taken in the Southwest during summer months show trash cans and mailboxes that melted in the Arizona heat. It’s one thing to throw your trash away in a can that can’t stand the heat. It’s a whole other matter when it comes to the pipes our drinking water flows through or the sewer systems that remove waste from our towns and cities. We all know local government budgets are tight, and there’s no magical pot of money that’s going to drop out of the sky. Decisions regarding pipe materials still should be made through the judgment and experience of professionals who consider all sorts of factors in awarding contracts, not special interests pushing a specific advantage that benefits one type of material but might not be what is best for that community. Clean drinking water and the removal of sewage from our communities is too important not to trust the people who have spent years studying, being licensed and certified, and who know the specific needs of their areas. After all, they and their families are drinking that water, too, while the special interests move on to their next political fight. Mario H. Lopez is president of the Hispanic Leadership Fund. He wrote this for InsideSources.com. Ohio Attorney General Mike DeWine offered consumer protection tips for the holiday shopping season.